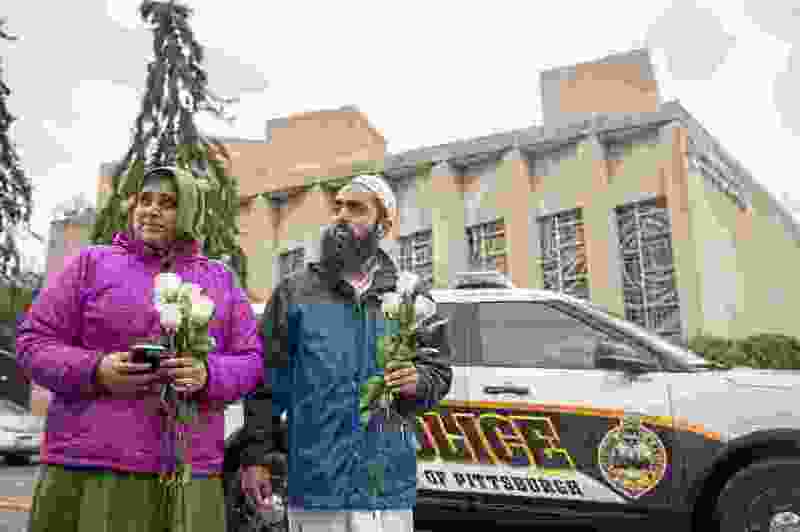 (Alexandra Wimley | Pittsburgh Post-Gazette | The Associated Press) Samina Mohamedali, left, and her husband, Kutub Ganiwalla, members of the Dawoodi Bohra Muslim community, both of North Hills, prepare to place flowers on a memorial in front of the Tree of Life Congregation, Sunday, Oct. 28, 2018, in Squirrel Hill neighborhood of Pittsburgh. I woke up on Saturday on pins and needles. For weeks, I worked closely with leaders from the nonprofit One America Movement and the Jewish and Muslim communities to plan a multifaith dinner to bring members of the community together across racial, religious and political divides — and my anticipation for the event left me restless. Saturday would be our third event. The first was a service project where we assembled hygiene kits for a local homeless shelter. The second was the first-ever Shabbat Iftar in Utah’s history. We ushered in the Jewish Sabbath together at the local synagogue, Temple Har Shalom, then shared a meal at sunset as our Muslim brothers and sisters broke their Ramadan fast. Then I unlocked my phone to start my day and saw the news. Eleven people had been massacred while worshiping in the Tree of Life synagogue in Pittsburgh. The news made me want to vomit. The irony was palpable. We had planned an event to come together in the name of peace, love and understanding, but I had just been greeted by an act of hate, intolerance and violence. The mood was somber as I entered the synagogue. I felt assurance that everyone in the room, regardless of race, ethnicity or religion, wanted to do their part to make the world a better, safer and more accepting place. I’ll admit that when I started organizing these events, I did it in part because I was scared of what I did not know. I harbored judgments based on religious and political stories I’d heard about my Muslim and Jewish brothers and sisters. We fear the things we know least about. The media sensationalize our differences by using hateful acts of the most evil among us to instill fear in our hearts. Cable news, politics and social media all amplify tribalism, impeding our ability to come together and cooperate to collectively achieve the highest good. It’s easy to get caught up in protecting members of our tribe from those who are not. We use motive misattribution — the idea that we assume the best motives of people in our groups and the worst motives of people in other groups — to justify that the worst of what we hear about our neighbors must be true. As we grow more divided, members of other political, religious or cultural tribes become more mysterious to us. That mystery generates more fear and division, launching us into a destructive cycle that curbs cooperation and breeds misunderstanding and violence. The cure for tribalism is individual responsibility. You are responsible for yourself, for your family and for your community. You’re responsible for how they are perceived in the world. You’re responsible for tearing down the walls that separate us. We cast out fear by attempting to understand and love someone outside our tribe. You’re responsible for coming together with those of us who are cooperating despite race, religion, sexuality or political affiliation to achieve the highest good, make the biggest difference. This is not a call to militarize the entrances of churches, mosques and synagogues. It is a call for compassion and reaching across the aisle. The only way to prevent a travesty like the shooting in Pittsburgh is to give up the counterfeit safety of tribalism and instead judge every person individually by the contents of their heart and the merits of their actions. 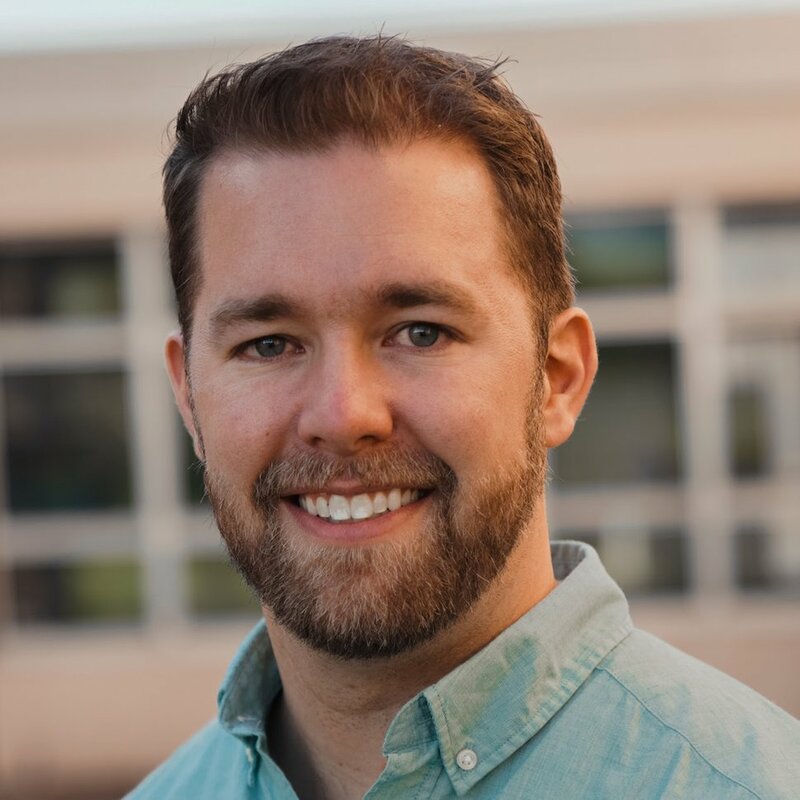 Nate Bagley, South Jordan, is a bridge builder, community organizer, podcast host at The Loveumentary, and he runs UtahDateNight.com.